I haven't caught sight of them yet, but we have had a clear up tick in the sound of fast movers over Columbus. Didn't realize that we had F-22's relocated to Rickenbacker due to the hurricane. Gotta love hearing that, looking up from your yard work and thinking, 'That ain't a 737'. We used to go sit at the end of the runway at Wright-Patterson and watch the hurricane refugees fly in. I don’t live near there now. Kind of miss it. Had lots of military equipment over house last week heading away from the coast. Must be nice to at least have the flyable equipment out and safe. Now does the support equipment and people go by truck? I drive by the Marine air base in Beaufort every day. Many times I’ve had planes fly low over me taking off or landing. The first time, I was in traffic and heard this ungodly sound. I was looking around trying to figure out what the hell was going on, when I saw the plane out the window. And my window was closed. Damn it was loud! One of the most beautiful sounds I've ever heard. Went to the Dayton air show at Wright Patterson many times, love the ripping/screaming sound of the blue angels, or even a B1 thundering overhead. However, NOTHING beats the sound of a P51 Mustang in full song, and doing loops ! We get to see the A10 Warthogs on training runs fairly frequently here, usually flying in pairs. Totally badass killing machines. I love the sound of an F-16 coming at us at just under the sound barrier. It's an almost silent "whooOOOOP ... WHAM" when it passes. Amen. One of my favorite sounds on earth. Some of my best professional memories are doing flight test at places like Nellis AFB, Elgin AFB, Barry M Goldwater range in AZ, and Davis-Monthan AFB. I typically had a flight line driving pass, during slow times we would just park at the end of the taxiway and watch the jets take off and land. Awe inspiring stuff. My dad was an Air Force pilot. We were stationed in Lake Charles, LA and dad was ordered to fly "his" airplane to safe harbor in Oklahoma. Mom was a 24 year old lady that had never been out of Oklahoma. Dad is leaving and she has me, a few months old baby and my 2.5 year old brother to take care of, with an approaching hurricane and dad "goes to work" in another nice dry state to protect an airplane. All of the pilots wives came over to our house and of course brought their kids. She said it was like a day care center and rather noisy, but the constant commotion kept their minds off the storm. Many of the other wives came from parts of the country where hurricanes were totally unknown, and thunderstorms were rare. Mom was not real happy with the Air Force after that episode for a while. The Air Force was completely unconcerned with the families of the pilots. All they cared about were the aircraft, and the pilots and crew. Thats too cool. I'm just north of Annapolis and see cool ships on the water but not much in the air. I hear the Blue Angels when they are in town but cant see them. I get the occasional group of cool helicopters going s/sw. So cool to hear them initially, that doesnt sound normal.. then they are gone. Love it. 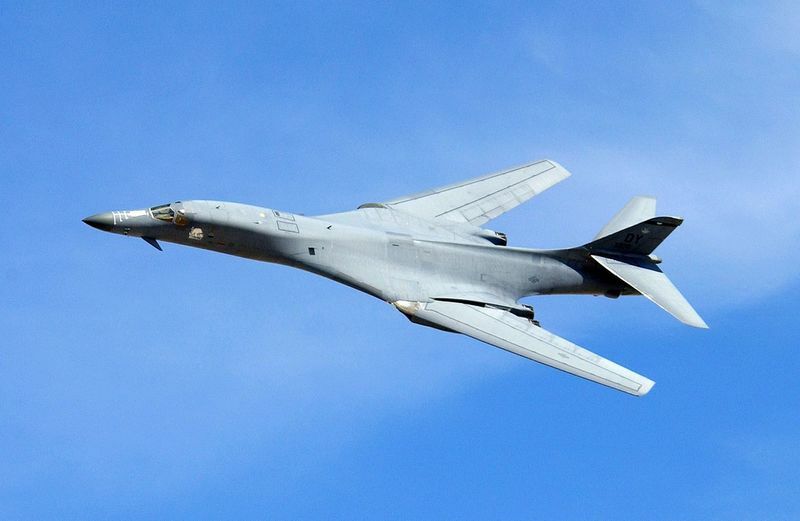 Loudest plane I've heard was a B1B taking off and climbing. So loud it was hard to differentiate direction the noise was coming from. Awesome airplane and crazy loud. 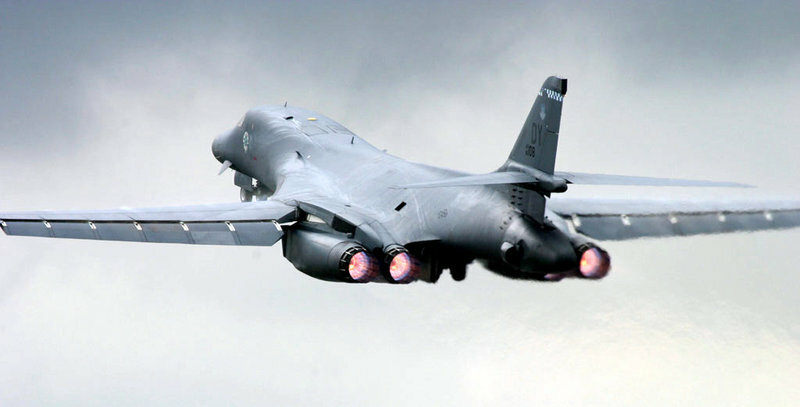 McConnell AFB in Wichita used to have them stationed here, there are many stories from people who live near the base about B1s at full afterburner shaking pictures off of the walls. Also stories about their flybys at the annual Riverfest summer festival, buzzing the river low enough that they kicked up spray. Apparently they got into trouble for that one. They used to buzz my in-laws' house in central KS, low and in formation they would pass over the house and then go full afterburner, climb and split. 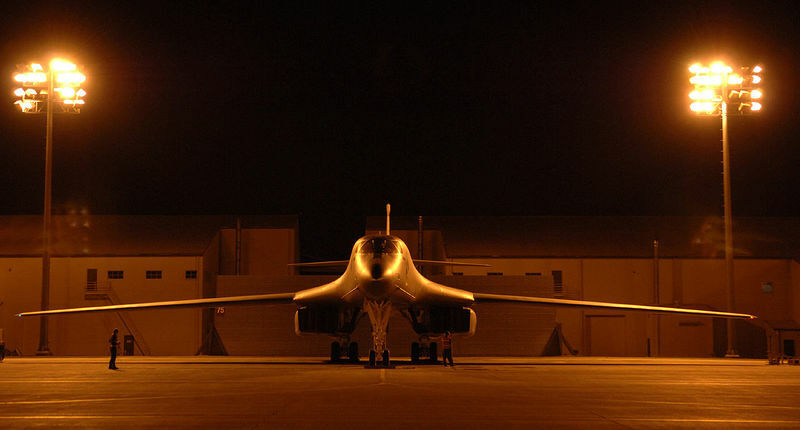 I asked a B1 pilot about it once, and he knew exactly what I was talking about. Apparently my in-laws have been bombed by the B1, hundreds of times. Now we have the KC-135, and soon the KC-46. Not quite the same cool factor. The Harrier at hover is also damn loud. Last edited by onewhippedpuppy; 09-18-2018 at 10:47 AM.. I get to see and hear F-22s often. Watched them flying at an air show a few years ago and was amazed at the low speed maneuvers. Used to hear the sound of freedom all the time when I lived in VA, between Oceana NAS and Langley AFB, there was a lot of noise to enjoy! I really miss hearing (and some times feeling!) that! The sound of freedom is great!!! Unless your house is in there flight path. Here in Beaufort SC we have the Marine air station. They fly from sun up to sun down and sometimes well past sun down. Before anyone gives me grief i was a Marine stationed at P.I., just saying sometimes it gets old. When I was a lad of 18, sweating in a total S box Isuzu diesel taxi, in sight of the giant steel shoebox that was my destination. Waiting, surprised how hot and humid it was for December, it was 10 degrees the night before in Anchorage. I was happy not to be smelling the exhaust for a bit, glad we worked out the price of the ride prior to our departure. Blocking our way, a sign with the red lights lit, a runway, and a Tomcat crouching about a football field away. He turns up the volume, starts rolling, lights it up before he crosses in front of us and really starts moving, picks up his wheels, stands it on its tail and is out of sight before the driver starts the car, thunder in the clear blue sky. I don't know how many decibels an F-14 is on afterburner, but it seemed like all of them when he went by us.